Wooho! 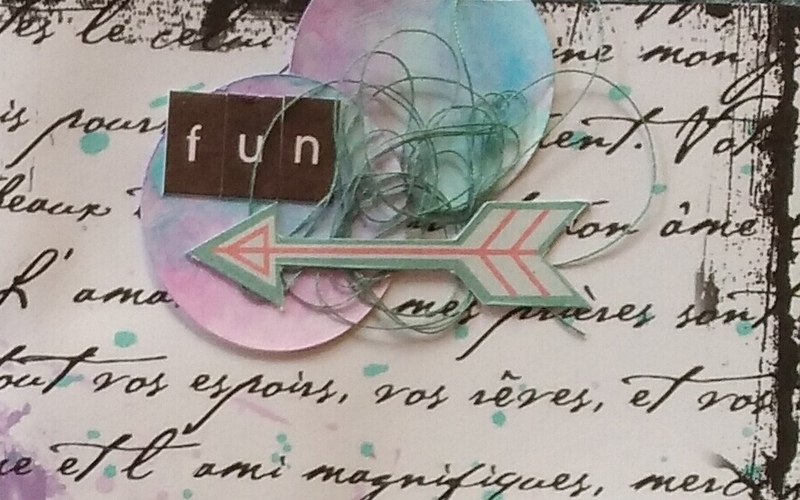 I was asked, to be a guest designer at Lasting memories in august - and I happily agreed! 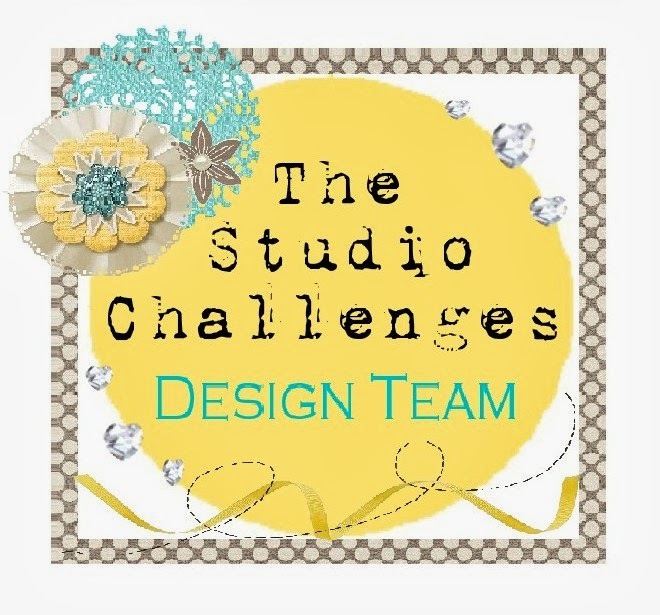 Thank you Lori, for inviting me to join in, again! 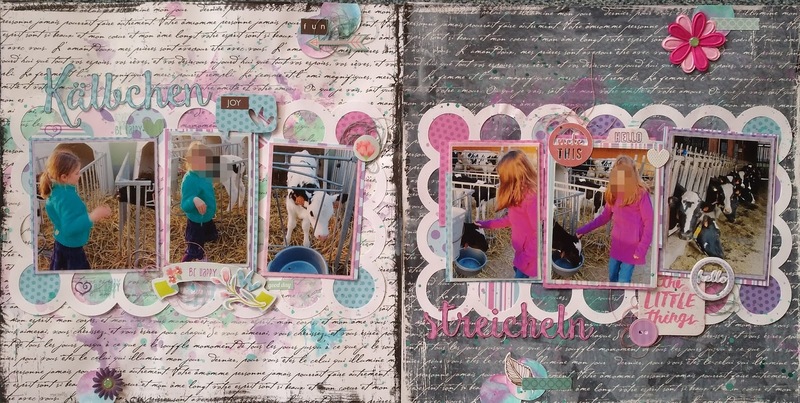 This month, the theme is : "All About Animals" - include an animal somewhere on your layout - it can be in the photos, a sticker/embellishment, patterned paper, etc. I decided to scrap these pictures from our holiday in France / Elsass last year. The kids loved the little calves! 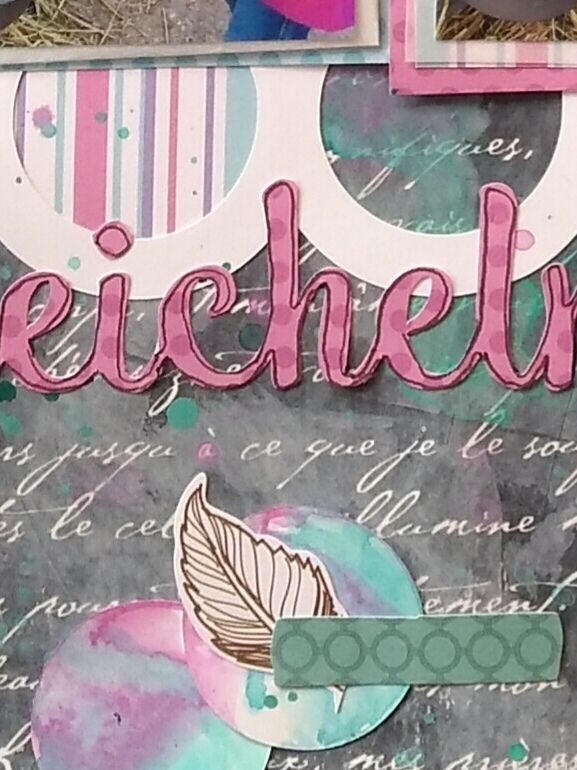 As background for my double-paged layout, I used some older patterned papers from my stash. The one white with black scripture and the other black with white scripture. I both grounded with white gesso. Then I splattered some pink and turquoise colors on it. 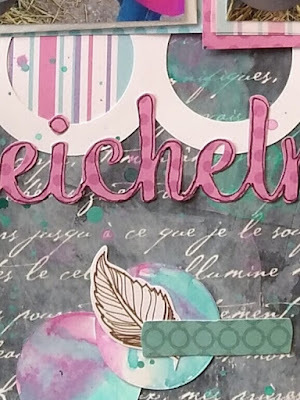 With my cameo, I cut out a funny circle-background and backed some of the circles with colorful papers. 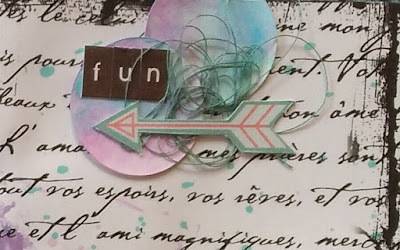 The words (smoothie shoppe) are cut out with my cameo and boarded with a black fineliner.